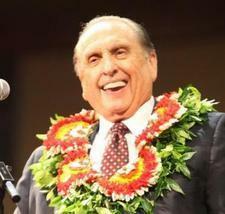 Occasionally President Monson has the opportunity to attend his home ward in Holladay, Utah. This past Sunday, Valentine’s Day, he did just that, and met with several young church members who were happy to get to speak with him for a few minutes. I was surprised at how casual he was… It was really cute actually! He spoke about missionary work around the world. At one point he was talking about being in Mexico. He mentioned how he sang to 95,000 Mexican saints at an event there. And then he began to sing the song to us… in Spanish… over the pulpit, with hand motions and everything. It was fantastic! !